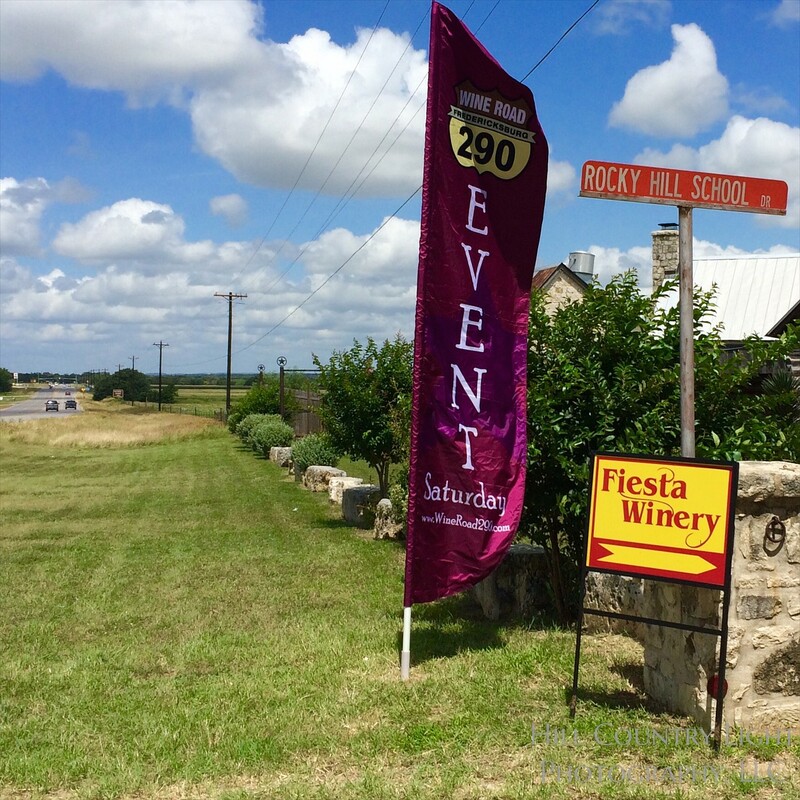 One of my favorite days of the year is a food & wine Event Day for Wine Road 290 in the Texas Hill Country. 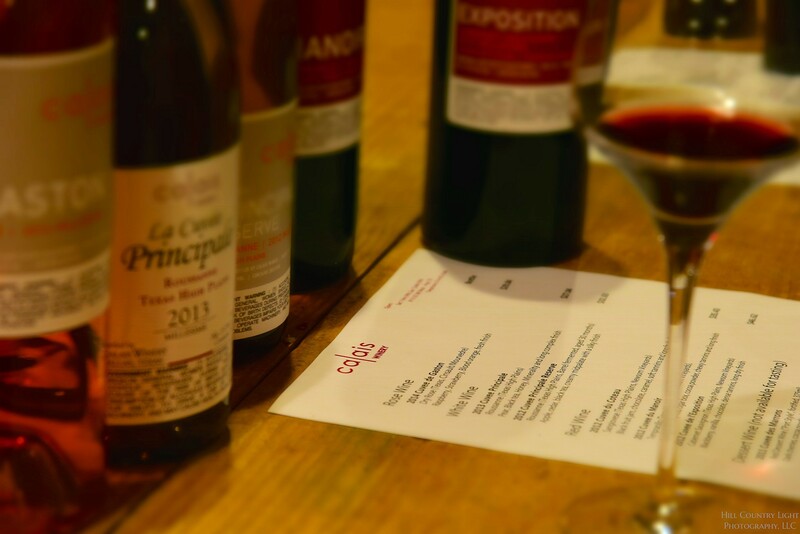 Last Saturday June 13 was “Vino Al Pastor,” where WR290 Member wineries offered sample bites of culinary splendor—pairing off an original pork-based delicacy with something interesting from their wine cards. For my part, it’s a favorite day because it’s my job to drive around and sample as many of these pairings as possible, and post the details on the Facebook Page for Wine Road 290. Yes, I make these sacrifices for you, doing my part for Texas Wine! 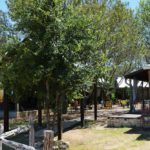 I usually check in at half a dozen wineries, and that keeps me well in touch with the pace and pulse of the Texas Wine Experience, talking to many customers, winery employees, and tour operators. Gary Gilstrap of Texas Hills Vineyard said this was the first time he can recall receiving phone calls from wine lovers in advance of a WR290 event, asking about it and wondering what the wineries were going to offer. What’s interesting is that WR290 is a non-profit, with a tiny operating budget. Gary releases a press announcement and I support the Facebook page with live postings, creative, and a small spending allocation, but really that’s about it as far as “advertising” goes. 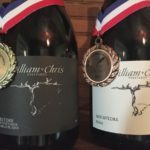 And yet, we are seeing continued growth, interest, and momentum behind the Hill Country wine scene, and WR290 itself is more and more a defining aspect of the Texas Wine “Brand” in the Hill Country. I saw something I have never seen before in the Hill Country: a recharging station for Tesla sports cars! Torre di Pietra has three chargers adjacent to their vineyard, ready to support eco-friendly luxo-cruisers across WR290. Need a jolt for your car while you sample food and wine? You’re covered! 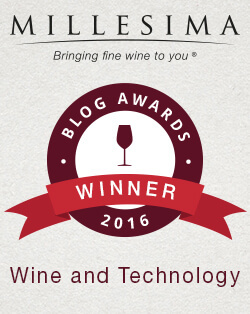 Two trends continue—Rosé, building a case for most interesting wine style of the Hill Country, as more and more wineries put forth excellent options…if you are thinking “White Zin,” think again! 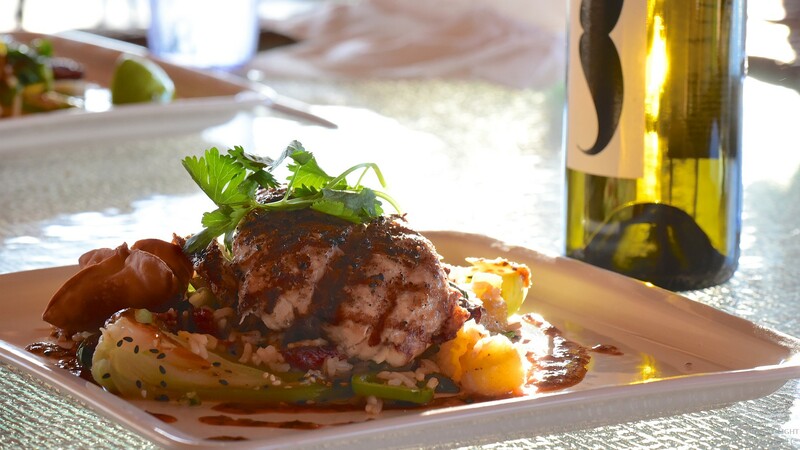 And interesting pairings on display—as was the case at Grape Creek where Cabernet Grill’s Chef Ross Burtwell created bacon-wrapped figs and a veal demi-glace paired with Grape Creek Riesling. Watching the reactions of customers is very entertaining, as they are surprised then delighted by everything they see, taste, and learn. It’s great when the winery owner is involved directly in the tasting. 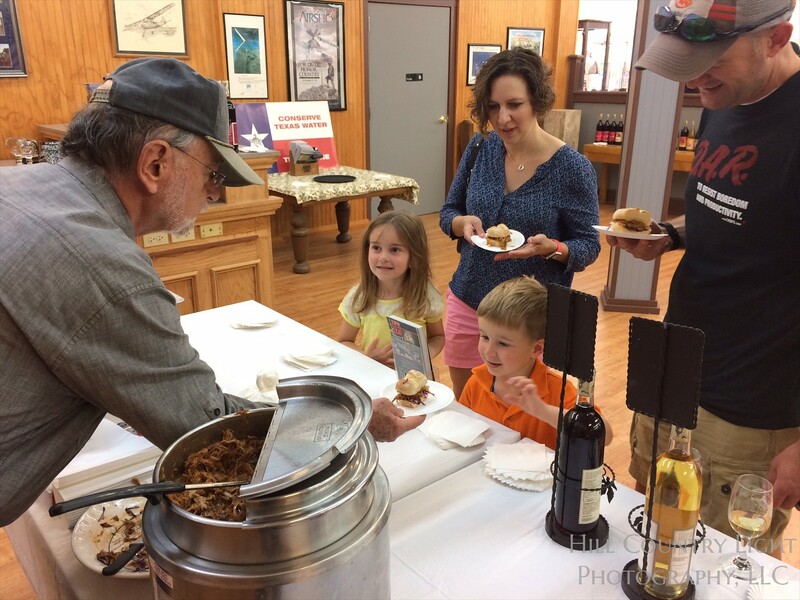 Cord Switzer at Fredericksburg Winery served pulled pork sliders and, as a Vietnam Vet, was a highlight to see him engage with a young serviceman and his family as they toured Fredericksburg. Building a brand takes all kinds! 2. 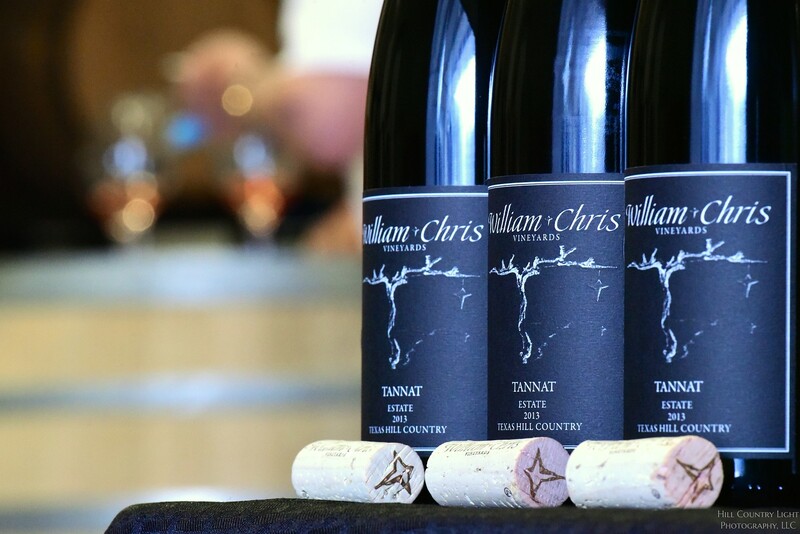 Tannat, Hye Estate Wine Release at William Chris Vineyards. This tasting event was momentous in several respects. Bill Blackmon said that the 2013 Tannat is the first 100% single varietal wine from their Hye Estate Vineyard, which also features Malbec and Petit Verdot, all planted in 2012. Having been on site for the site prep, the planting as well as the harvest, it sure is a visceral thrill to see this wine come into its own. 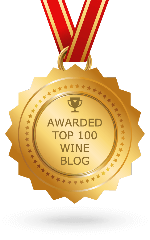 With the trail blazed by Bending Branch Winery, it’s great to see other wineries working with Tannat, and for my part it’s a French grape that otherwise would have remained off my radar. The world does not know to ask Texas to produce Tannat, and it’s great that we have special wineries doing it anyway, and to great acclaim. 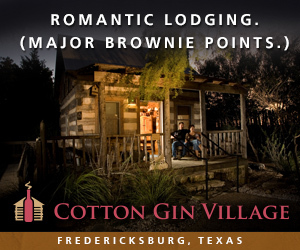 This is what the Texas Wine Experience is all about. Saturday evening, I was invited to speak at the State Meeting of the Wine Society of Texas, here in Fredericksburg, courtesy of Ed Dent. I was a pinch-hitter for Russ Kane who is happily recouping from an ailing back, and we wish him all the best in a speedy recovery. The 20-year-old wine society is full of devoted wine lovers from around the state—collectors, educators, travelers, and devotees to the Vinefera life. As the discussion shifted to Texas Wine, the most often-asked question was, “How can we as a wine organization help the Texas Wine Industry?” Julie Kuhlken of Pedernales Cellars was on hand, and made a passionate case for the restoration of funding at the state level, in keeping with what other states are doing for their fledgling grape industries. Noting the economic impact, jobs, tourism, and positive industry accolades, there would be worse bandwagons for the State of Texas to jump on. Personally, I am not a fan of subsidies, since there is no free lunch, and strings are always attached. However, the value of such a program will increase when Texas produces enough grapes to export Texas wines beyond state lines. 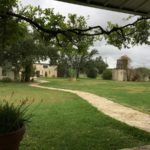 Yet we can all be very proud of the work, perseverance, and market acceptance that the Texas Wine Industry has carved out, especially in recent years. 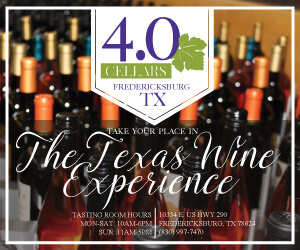 When we have collectors of the caliber of the Wine Society of Texas joining TXWine clubs, buying cases and holding them in libraries, to be opened for sharing down the road, we know that can only be a good thing for our industry. 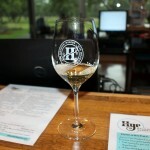 On Sunday, Barbara and I visited a couple of the newer wineries on 290. 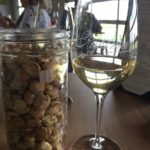 The first visit was to Calais Winery, just two miles to the east of Hye on the right as you head toward Johnson City on 290. Ben Calais is known within the industry as a young Frenchman who loves Texas as much as any native, and has painstakingly built a small, charming cellar (petite cave à vins?) from reclaimed barn wood. Ben’s wine card features a delightful Rhône-driven Rosé that he said languished at his former Dallas location, but is thriving here in the Hill Country (confirming our trend!). He also produces a Cabernet Sauvignon, sourced from Newsom Vineyards where some of the oldest Cabernet vines are still producing. Our interest was captured by Ben’s Roussanne — a white Rhône grape that Ben favors even beyond highly acclaimed Viognier, which is doing so well in so many tasting rooms across the Hill Country. But ask a vineyard manager about the two and you are likely to hear that it is Roussanne which will gain favor over time. It is one of the only white varietals to survive the late spring freezes of 2013 and make a crop whereas Viognier perished in all but the most well protected parts of Texas vineyards. Ben, a youthful 32, has produced five vintages of Roussanne, and he is among those who appreciate the reliability and low-yield aspects of the varietal. “There were 2 or 3 producers when I started with Roussanne,” said Ben. 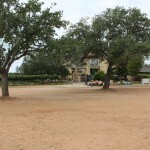 Now, he says, there are 25 sources, and most every major Texas grower either has a Roussanne program, or soon will, because it’s a grape that both grower and winemaker can appreciate. Ben produces Roussanne Cuvée Principale, and a Reserve of the same name, with the major distinction being time in barrel. Rather than aromatic fireworks, Ben seeks to emphasize mouth-feel as the principal aspect of Roussanne, and he is pushing the boundaries on hang time in the vineyard, and barrel-aging in the cellar, to find the right combination. A panel tasting of the 2012 Cuvée was a complete success in a public benchmarking vs. French sources of Roussanne, but it is sold out. Seeing only four months aging in barrel, the 2012 is more mainstream in approach. But set that aside, as the two currently at Calais take a decidedly different role for Ben than mainstream acceptance, and that’s what made this stop so interesting. We tasted the 2013, the lone survivor of all Ben’s white wines from the troubled vintage. After 18 months in barrel, the wine was bottled and according to Ben, the process introduced a fraction more oxygen than expected. As a consequence the wine has an oxidized profile of bruised apple on the first nose. Ben is untroubled by this as he does not rely on Roussanne to exude floral and aromatically enrapturing notes in glass. The 2012 Reserve is everything the 2013 is multiplied by two. 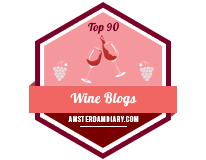 At 30 months barrel aging, the wine has a huge mouthfeel, waxy, and expansive. It too, is open-knit and prone to blooming on the nose. But the mouthfeel, acidity and finish of both of these wines serve to overwhelm the initial character, so if you quit on the wine based on first nose, you will miss something very special! 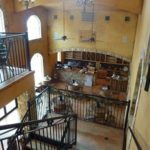 Our finale featured one of our favorite stops—Compass Rose Cellars, on Albert Road 1 mile south of 290, a winery that is evolving into a destination beyond wine tasting. It is against my own self-interest to even write about it because it’s the sort of place where I always want to have a table. That will soon be impossible as it’s too good a place to remain a secret for long. The restaurant serves an amazing menu created by Chef Bryan Gillenwater. 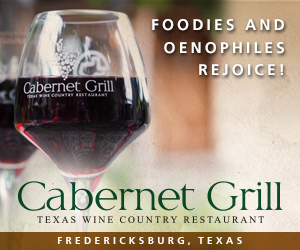 It changes monthly, and is definitely hitting the culinary high notes we were all hoping for—Texas Redfish, Washington Oysters, Maine Steamers, Smoked Ribs, Tenderloin and mushrooms, and great pairings. 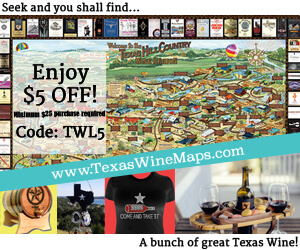 The wine card features Texas wines from Compass Rose, and an international selection of special prizes created by colleague and fellow Texas Wine Journal panelist Rae Wilson. Proprietors Mark Watson and Will Cleveland have big plans for expansion over time, too, breaking ground on a new winery, casitas for rent, and the expansion of the restaurant. Already an “end of the day” favorite sunset spot, it is just another reason to explore that corner of the Texas Hill Country we call Hye, America. The unmistakable conclusion from this field day? 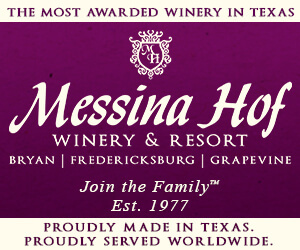 The Texas Wine experience is undergoing a powerful evolution. Not only are we exploring a wide range of Varietals, we have a collection of wine makers that will push the boundaries to determine what works well, both in vineyard and in the cellar. And when the wine is poured in the tasting room, chances are that a chef will be nearby to pair it off with a culinary delight. That most of this is happening without government support is noteworthy, depending on your point of view. Either you are happy to see success without subsidies, or you are excited about how much bigger and better it could be if only we had funds matching that of other states to propel us forward. I leave you to decide what’s best. For my part, I am content to chase down yet another sunset in the Hill Country and report back to you! Love the updates. Planning next trip in September. 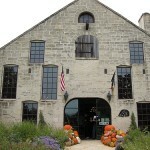 Looking forward to visiting Calais Winery along with many others.